An item that any book lover, or book user, never has too many: a bookmark! The japanese word for bookmark is しおり・栞. 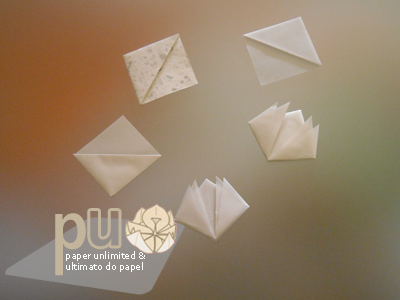 These are just one type of origami bookmarks, more will be featured here in the future. 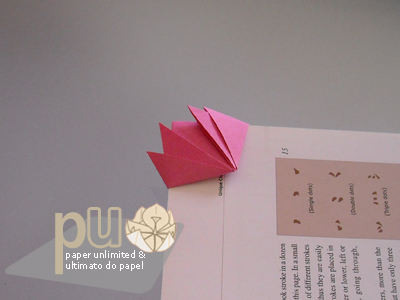 This is one of the simplest origami bookmarks there is! You can use paper with different colours/ prints on both sides and it results as well as simple paper and prints… The diagram is here! Hope you enjoy it. Scroll down for the other diagram and info on the other bookmark. 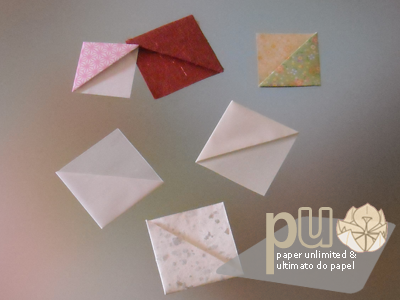 A square of 7x7cm/ 2,75″ will end up in a bookmark with 3,5×3,5cm/ 1,37″. 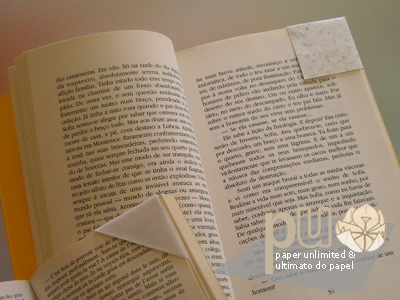 Papers of 10×10 or 9x9cm (3,94″ or 3,54″) turn into nice sized bookmarks! I prefer the lotus one… My love for (almost) anything flowery on action, perhaps. 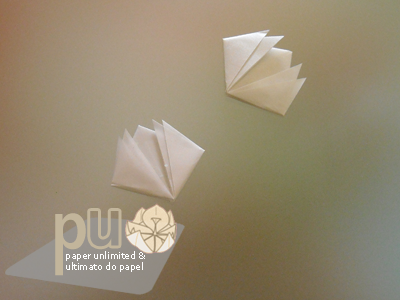 But I use this one mostly at home, the lotus petals became a bit jaggy when used on books I carry with me… Click here for the diagram, another waribashi one, too. This bookmark is best made with paper that has the same colour or print on both paper faces. If not the other colour print will show on the outer petals. A square of 9x9cm/ 3,54″ results in a bookmark with 5,5cm/ 2,16″ wide and 4,5cm/ 1,77″ tall. 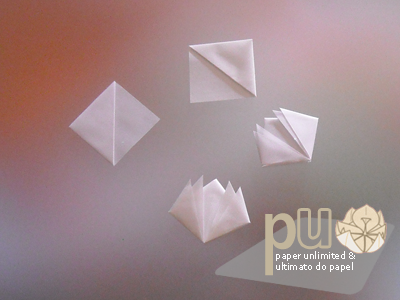 This entry was posted on 2010|12|09 at 22:02 and is filed under bookmarks, diagrams, origami. You can follow any responses to this entry through the RSS 2.0 feed. You can leave a response, or trackback from your own site.